John Cote is an award winning author who has published multiple Amazon.com #1 Best Selling books. 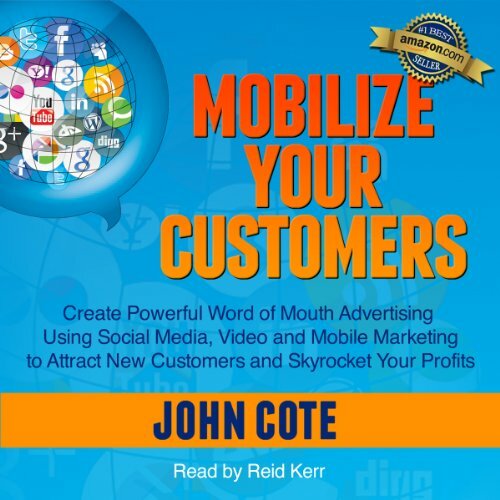 He is also the CEO of John Cote & Associates, a consulting firm he founded to create growth strategies, story based marketing campaigns and customer engagement systems for businesses and organizations of any size. His expertise includes client platform development with rapid content creation via book publishing, interactive online broadcasting (livecasting), and podcasting. His firm specializes in integrating that content with product launches, lead capture and follow up systems, and digital advertising campaigns. A voracious reader, John invests a great deal of time researching and implementing the cutting edge trends in exponential technologies, medical advancements, and marketing systems. He is a frequent speaker and panelist on these topics as they relate to story selling, business innovation, and increasing revenue. John has a deep personal interest in emerging medical technologies since he has received surgically implanted stem cells to grow new knee cartilage, his wife is a two time cancer survivor who traveled extensively for experimental treatments and one of his sons has bilateral cochlear implants. He is an accomplished pilot, having attained over 10,000 hours of flight time while serving in the U.S. Marine Corps and flying for a major U.S. airline. He currently resides in Huntsville, Alabama with his wife Jennifer and their three teenaged children.